Marvel has released a bonus features clip from The Avengers focusing on The Hulk (Mark Ruffalo) and Captain America (Chris Evans). This is a short clip of a much longer featurette that will be included on The Avengers Blu-ray/DVD. Joss Whedon and Robert Downey Jr. talk about the characters, and the video shows us some cool behind the scenes footage. 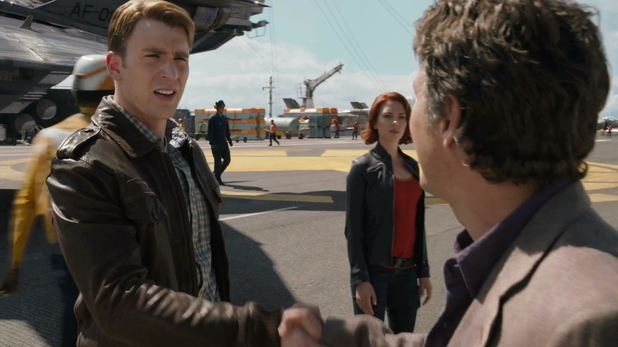 The Avengers will be available on Blu-ray and DVD on September 25th, enjoy the video! THE AVENGERS Bonus Features - "Leader of The Band"